Note the time progression, and the lies. 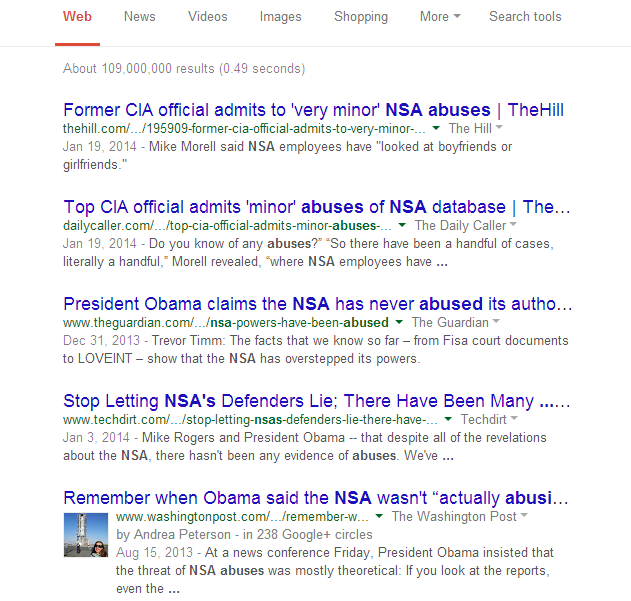 Historians will have a field day with the Snowden revelations on all the NSA abuses. Screenshot above shows that probably the two biggest liars will prove to be Obama and Mike Rogers. Unbelievable that nobody in the White House had the sense to advise the President to come clean on this early and reform, or at least stop this--but no, they just compounded their problems, and lying, and history will be the judge.